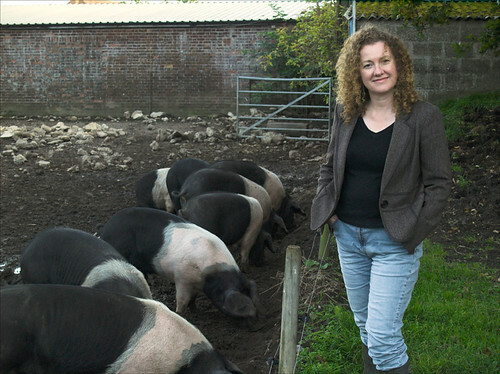 I am Sarah and I run a small business in North Norfolk hand-making pork pies – Bray’s Cottage Pork Pies. But way before I started the business I was passionate about the “terroir” of places, how the landscape and spirit of a place effects the food. And, as the place I know best, Norfolk food and the people who make it are my passion. Over the years I’ve been to a lot of Norfolk farmers markets and delis and been lucky enough to get to know many of the food producers around the county. I’ve got a good head-start on knowing what’s out there and where to find it but I’m certain there’s a lot more to find out. Looking forward to following your adventure for North Carolina (US), growing up near Hunstanton I remember many of the local producers, which alas with the exception of the farm shop at Thornham they are all now gone. Hello North Carolina! I know the excellent farm shop (Drove Orchard) at Thornham well – I bought my apples for the pork & apple pies there this year. And Nicky brings their produce to Fakenham Races for our “Norfolk Picnic”. It is sad that there are fewer places to buy direct from the farm. Oh fantastic! Fruit in Feb has been one of my big worries! I love kiwi fruit. Will certainly be in touch.